Building on the phenomenal success of the original Kill Shot, Hothead Games’ latest FPS game in the series, Kill Shot Bravo, is about to set a new standard for mobile phones and tablets. The game will be available to download for free from the iTunes App Store and Google Play on November 19th. Packed with hi-fidelity graphics, deadly missions and engaging multiplayer modes, Kill Shot Bravo is destined to become the best choice for all fans of the genre. Never content to sit back on their laurels, Google Play Top Developer Fedeen Games have announced their latest project. Pocket Gothic, it’s an action-packed side-scroller that’s sure to please gamers for its anime-gothic looks as well as its action-packed gameplay. With Pocket Gothic, players will find a slickly designed beat’em up adventure with an aesthetic that’s equal parts dark horror and adorable anime. Choosing from four character classes, the player will navigate through hordes of bloodthirsty foes while slicing, slashing, shooting or blasting their way to glory. Today SQUARE ENIX unveiled the full name for the upcoming action-packed addition to the NIER series as NieR: Automata. During a stage presentation at Paris Games Week, producer Yosuke Saito (DRAGON QUEST X / NIER) and director YOKO TARO (Drakengard / NIER) provided audience members a first-look at the title’s gameplay, which features Platinum Games’s signature action-oriented combat. Templar Battleforce is now on Android and iOS! Square Enix is excited to announce the release of ‘THE WINGSUIT EXPERIENCE’ a 360 Degree VR app brought to you by JUST CAUSE 3, which is available now for free download to iPhone, iPad and Android devices. It’s time to get locked & loaded, Mercs! Developer NHN PixelCube, under the publishing brand TOAST, announced today that Kill Me Again is now available for both iOS and Android devices. Featuring a thrilling combination of action, match-three puzzle, RPG, horror, and multiplayer elements, Kill Me Again is a gory and tense amalgamation unlike anything you’ve ever played. Gamers looking to get a leg up on the undead hordes should pre-register to receive extra in-game bonuses and perks. ShortBreak Studios, the mobile division of Techland, announced today that its latest title LITRON is now available on Android. LITRON is a retro-style puzzle game that puts the player’s wit and reflexes to the test of the decade. Inspired by all-time classics like Snake and Tron, LITRON brings 60 twisted and mind-boggling levels created in the timeless visual style of the 80s and graced with mesmerizing retro tunes. Pakistani developer Game Torque Studio is proud to announce the release of MOON TOWER ATTACK, it’s a new 2.5D tower defense now available on Android and iOS. In Moon Tower Attack, players defend their base from the troll-like Dark Forces by making expert use of different weapons and towers. If victorious, players are rewarded with coins and experience that can be used to purchase a number of tower upgrades — including lightning guns, flamethrowers, bunkers, and more. Square Enix is excited to announce that Champ Man 16 is locked and ready for release. The latest in the Champ Man series brings an advanced single player campaign with incredible new features, an expanded game experience, and tens of thousands of real players from over 450 clubs from 25 playable leagues to manage. So now is the time to live the dream and take control of your club! Watch the Champ Man channels as we reveal more and more information about the game in the coming weeks. Cute Things Dying Violently Gives You The Chance To Be A Hero And Save The Helpless Creatures, Can you Keep The Alive Though? Hey kids! Do you like failure? Are you suspicious of success? Do you smile at the thought of “accidental” electrocution? Then boy have we got the game for you. Cute Things Dying Violently is available today on Steam, iOS, and Android. 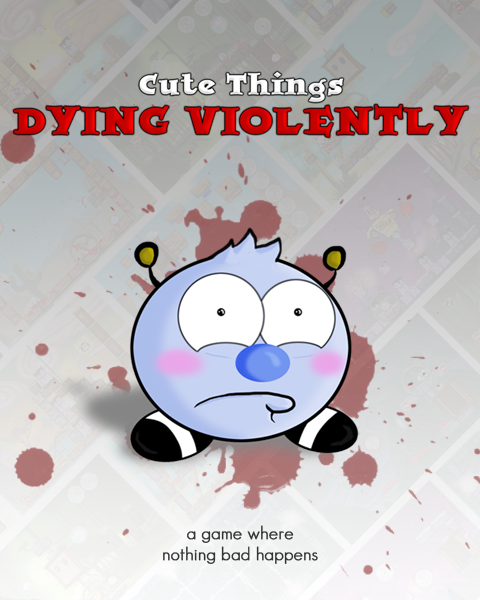 Cute Things Dying Violently is all about saving a bunch of hapless Critters. Launch them around to get them safely out of each level. Dodge lethal spikes, buzzsaws, fire, and hateful robots. And, if a few dozen (or hundred) of them get turned into charred, smoking husks in your attempt to save them… there’s the old saying about omelettes and breaking eggs. Broken, bloody eggs.